Guess which Texas Republican is the only politician who Donald Trump contributed to his campaign, and is coincidentally the same person who used his political power to abruptly end the probe of Trump University for criminal misconduct? That former Texas Attorney General is now Republican Governor Greg Abbott. He ended the case against Trump University, then a few years later received $35,000 in campaign contributions as his reward. 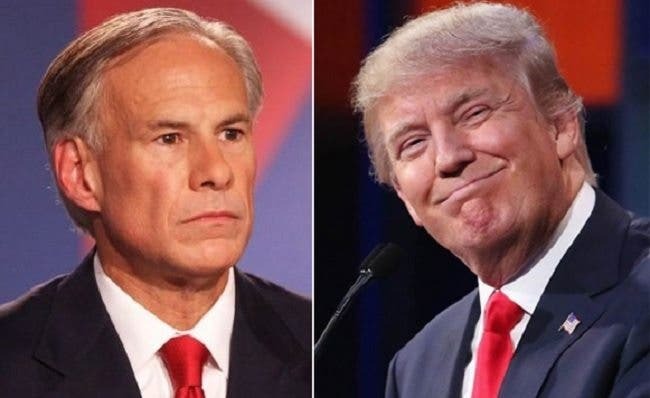 All told, Donald Trump was facing a settlement cost of $5,400,000, but Texas Republican Greg Abbott let him off the hook with nothing more than a promise to leave Texas, leaving taxpayers on the hook for the costs of investigating, and leaving scammed students in the lurch. We believe there is a possibility that Trump University will file for bankruptcy, primarily to stay both the California federal court class action and this case. Today, both the Republican Governor and current Attorney General of Texas both want to keep their actions secret. Current Texas Attorney General Republican Ken Paxton who’s indicted and facing securities fraud charges, filed a cease and desist letter against the former official in his office for releasing public records showing the letters sent demanding information from Trump’s scam university. But former Deputy Chief Texas AG John Owens spilled the beans anyway, on how advanced and seemingly airtight the state’s case against Donald Trump’s person and Trump University really was in Texas. Defendants falsely assert at these “free workshops” that the classes are approved continuing education· credit for realtors. The Texas Real Estate Commission has not approved any Trump University courses for continuing education credit. Defendant Trump University is also not an accredited institution of higher learning and does not have a certificate of authority to use the term “University” in the state of Texas in violation of TEX. EDUC. CODE§ 6.313. Trump University has also not complied with Secretary of State registration or tax requirements necessary to do business in Texas or paid sales tax on any of their sales. There have been approximately 57 “free” Trump U workshops conducted in Texas, with approximately 50-100 attendees per workshop. The unraveling of the Trump University scam is a metaphor for the entire act pulled by the presumptive Republican nominee on a gullible political party willing to believe anything they want to hear. Now we know that Trump’s claim to give money to all of the politicians is more than just business as usual. Florida’s Attorney General took a bribe to end the investigation into Trump University. Trump even was accused of offering an illegal bribe to his vanquished Republican foe Ben Carson too. The only surprise here is that we all thought presumptive Republican Presidential nominee Donald Trump was an uncommon racketeering con-man, but he’s actually just another run-of-the-mill crony capitalist who corrupts other Republican politicians because he desperately needs their back-room deals to avoid personal bankruptcy for his business blunders.